HOUSTON – (April 10, 2019) – Scientists are discovering new two-dimensional materials at a rapid pace, but they don’t always immediately know what those materials can do. Researchers at Rice University’s Brown School of Engineering say they can find out fast by feeding basic details of their structures to “deep learning” agents that have the power to map the materials’ properties. Better yet, the agents can quickly model materials scientists are thinking about making to facilitate the “bottom-up” design of 2D materials. Rouzbeh Shahsavari, an assistant professor of civil and environmental engineering, and Rice graduate student Prabhas Hundi explored the capabilities of neural networks and multilayer perceptrons that take minimal data from the simulated structures of 2D materials and make “reasonably accurate” predictions of their physical characteristics, like strength, even after they’re damaged by radiation and high temperatures. Once trained, Shahsavari said, these agents could be adapted to analyze new 2D materials with as little as 10 percent of their structural data. That would return an analysis of the material’s strengths with about 95 percent accuracy, he said. “This suggests that transfer learning (in which a deep-learning algorithm trained on one material can be applied to another) is a potential game-changer in material discovery and characterization approaches,” the researchers suggested. “Because we can build our structure-property maps with only a fraction of the data from graphene or boron nitride molecular dynamics simulations, we see an order of magnitude less computational time to get a full behavior of the material,” he said. 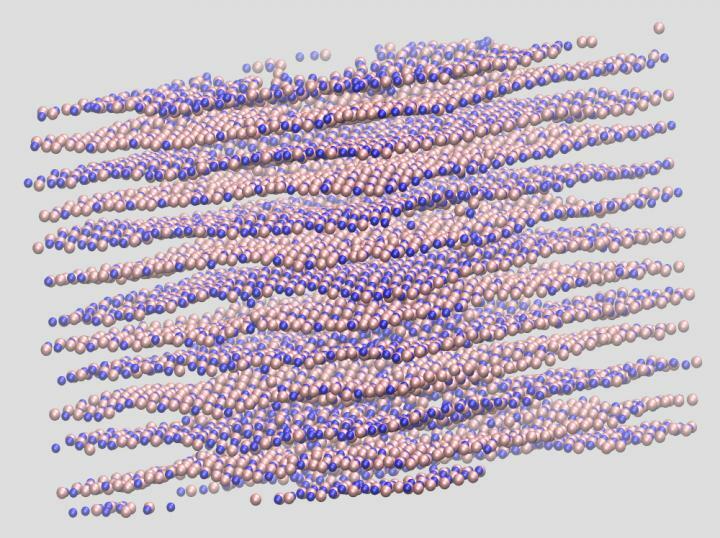 They ran thousands of “deep learning” simulations on 80 combinations of radiation and temperature for hexagonal boron nitride and 48 combinations for graphene, hitting each combination with 31 random doses of simulated radiation. For some, the researchers trained the deep learning agent with a maximum of 45 percent of data from their molecular dynamics study, achieving up to 97 percent accuracy in predicting defects and their effects on the material’s characteristics. “Our deep learning method on the development of structure-property maps could open up a new framework to understand the behavior of 2D materials, discover their non-intuitive commonalities and anomalies, and eventually better design them for tailored applications,” Shahsavari said.